Northern Westchester Hospital announced today that it has become the only hospital in the United States to be Designated with Distinction by Planetree and to be Magnet® recognized. A Magnet hospital is one that has embarked on an extensive review and systematic evaluation of its nursing practice by the American Nurses Credentialing Center (ANCC). Magnet recognized hospitals meet stringent standards that define the highest quality of nursing practice and patient care. “NWH was designated in 2011 by Planetree as a “model hospital” for providing patient-centered care. The Magnet recognition is an achievement that further demonstrates the dedication of our staff to providing the highest level of patient and family centered care. We are proud to be the only hospital in the United States to be both Magnet recognized and Designated with Distinction by Planetree,” stated Joel Seligman, President and CEO. Nurses who work in a Magnet facility are likely to be more highly educated and better credentialed with specialty certifications. That means patients and their families receive the highest level of nursing care. The Magnet designation means that the hospital has created an environment that supports high quality nursing care practice and focuses on professional autonomy, decision making at the bedside, nursing involvement in determining the nursing work environment, professional education, career development and nursing leadership. This can only be accomplished with the support and participation of all the departments and employees in the hospital that place patient care first and foremost in the mission of their daily work. The Magnet Recognition Program recognizes health care organizations for high-quality patient care, nursing excellence and innovations. In 2010 eight of the top 10 medical centers named on the U.S. News & World Report magazine’s Honor Roll were Magnet-recognized. Northern Westchester Hospital is the only hospital in the United States to be Designated with Distinction by Planetree and Magnet Recognized. The Magnet Recognition Program was developed by the American Nurses Credentialing Center (ANCC) to recognize healthcare organizations that provide nursing excellence and to disseminate successful nursing practices and strategies. The Magnet program is based on evidence and research and only recognizes those institutions with the highest standard of nursing excellence. Currently, only 391 of the more than 6,000 U.S. healthcare organizations have received the credential. In studies of Magnet facilities, more positive practice environments have been associated with higher patient satisfaction with nurse communication, availability of help, and receipt of discharge information. Magnet-recognized hospitals establish the bar for excellence and employ the best-trained and most qualified nurses. Magnet facilities outperform other hospitals in both recruiting and retaining nursing professionals, resulting in higher employee satisfaction and lower staff turnover. 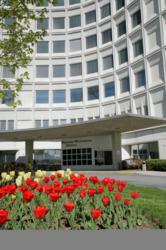 Northern Westchester Hospital (NWH) provides quality, patient centered care that is close to home through a unique combination of medical expertise, leading edge technology, and a commitment to humanity. Over 750 highly skilled physicians, state-of-the-art technology and professional staff of caregivers are all in place to ensure that you and your family receive treatment in a caring, respectful and nurturing environment. NWH has established extensive internal quality measurements that surpass the standards defined by the Centers for Medicare & Medicaid Services (CMS) and the Hospital Quality Alliance (HQA). Our high quality standards help to ensure that the treatment you receive at NWH is among the best in the nation. For a complete list of our services, please visit http://www.nwhc.net.